System restore is a feature of Windows XP that allows you to roll back the system to the same configuration it had at an earlier time. 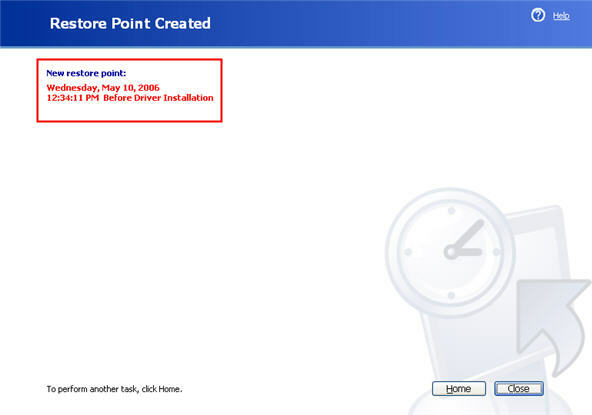 If this feature is turned on (which it is by default) Windows XP will take periodic snapshots (called restore points) of your installation. It can use the information gathered in these snapshots to restore your system to a previous configuration. It is a good idea to create a restore point before you make major changes to your system, such as before installing new hardware or doing any major updates. 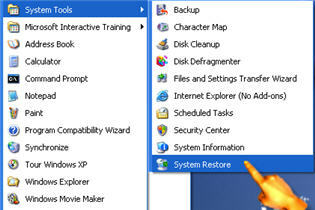 To create a new restore point, choose Start, All Programs, Accessories, System Tools, System Restore. Next, choose Create a restore point in the window that comes up. You can then enter a description to identify the new restore point. Click on the Create button and your new restore point will be created. 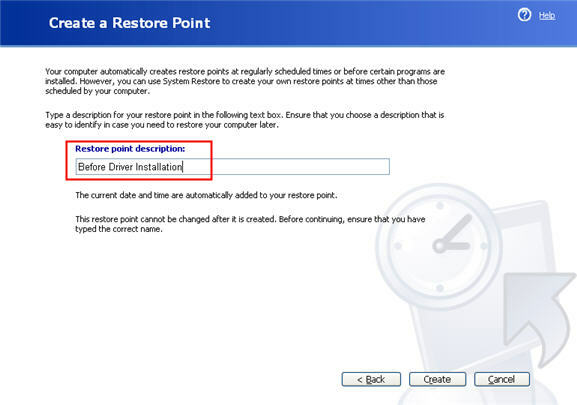 To restore your computer to a previously created restore point, access the System Restore tool as described above but select Restore my computer to an earlier time when the System Restore window comes up. 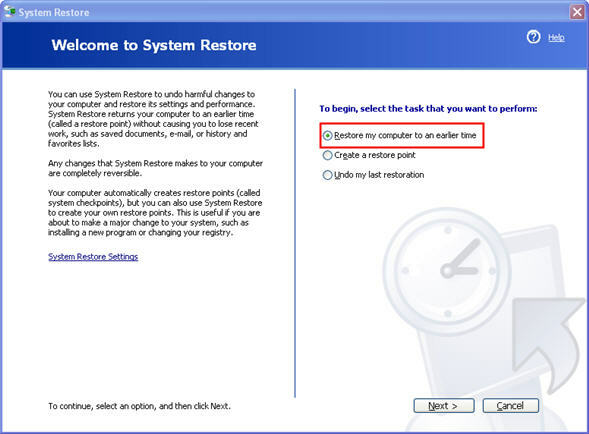 Your computer will need to restart to carry out the system restore.